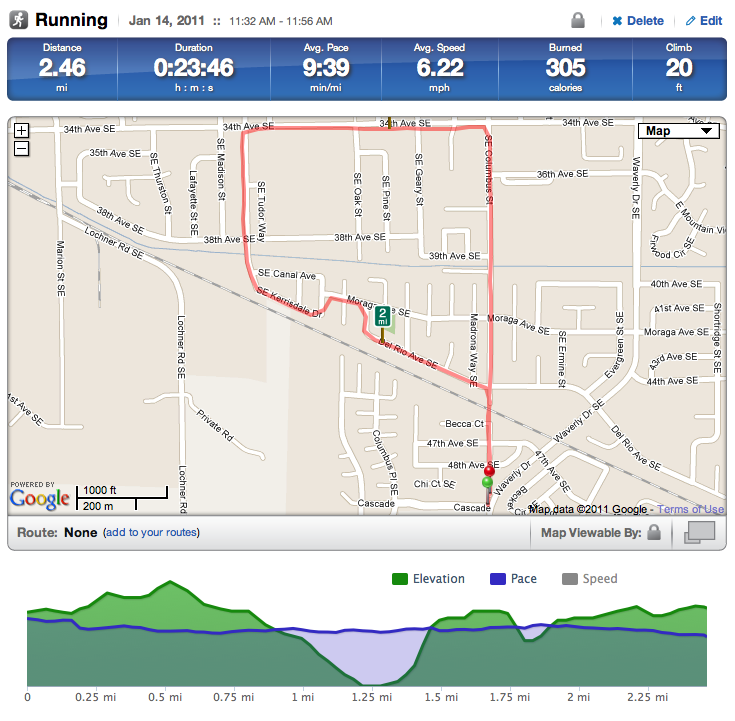 As I've talked about, Jessi and I have a goal of running a half-marathon this year. It'll be a lot of fun, but also a lot of work. Being the analyst that I am (see my post analyzing the number of steps I take), it would be nice to be able to keep track of my progress. 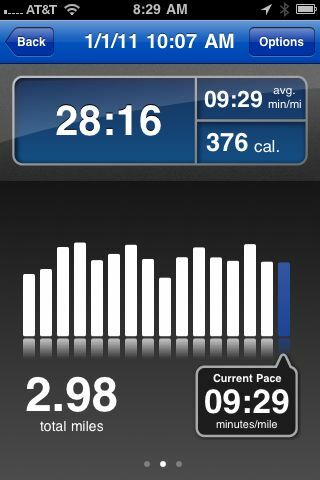 One possible solution was Nike+, but sadly my iPhone is one generation too old to use their little pedometer thingy. Other apps also existed, but they either cost money or didn't really strike me as too useful. 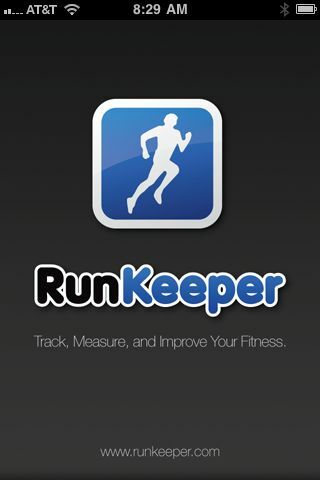 Then came along RunKeeper Pro (iTunes link). Normally $10, right now it's free in the app store through the end of January (UPDATE: It's now free for all time). So naturally, I downloaded it. After using it a few times, I can safely say I would happily spend the $10 to buy it. There are also a bunch of settings. 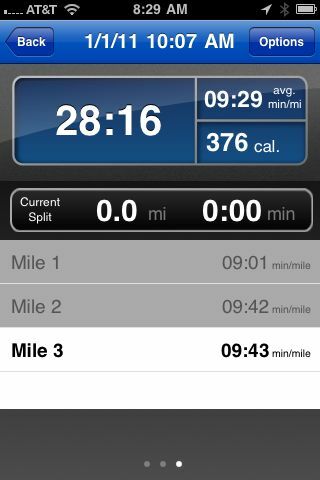 You can have the app tell you your time, distance, pace, etc. It can do it every mile, every 5 minutes or on-demand. You can also manually enter in runs for when you're on a treadmill. When you're done, you get a nice summary of your results. Then you head over to the website. 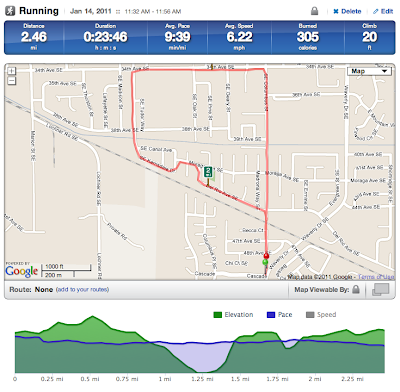 There you can see all your activities with a beautiful dashboard displaying how your run went. It's interactive too - giving you more detail as you hover over different parts of the display. Finally, you can link to Facebook and see your friend's workouts (for example, I can see what Jessi's been running). 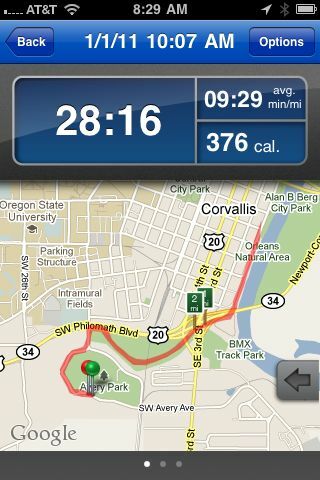 You can also link to Foursquare and pick-up a 5K badge once you run that far. If you run, and own an iPhone, I highly recommend picking up this app, especially since it's free for the rest of the month. I enjoy looking at the data and tracking my progress. I'm sure this will get even better as I start running longer distances. Being able to listen to audiobooks while running was huge for me, and this will make running even more enjoyable.